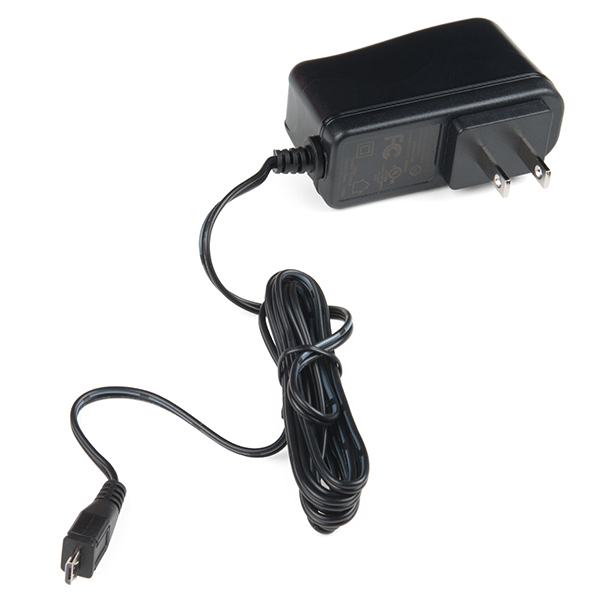 This is a high-quality switching 'wall wart' AC to DC 5.1V 2,500mA USB Micro-B wall power supply manufactured specifically for projects that require a higher level of power. 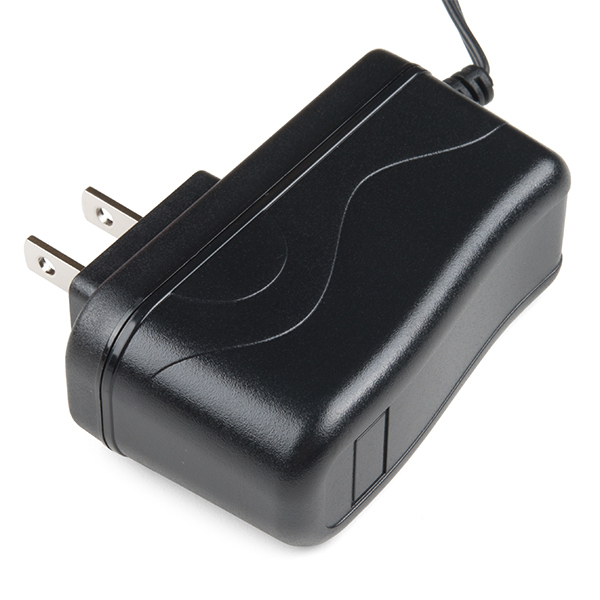 This compact USB AC charger is UL and CSA listed and incorporates a highly regulated output switching power design to assure a constant, accurate DC power delivery. These wall adapters are perfect for supplying power to the Raspberry Pi 3's power requirements. Each adapter features a no-load voltage regulation within 3 percent of the rated output and works with 100-240VAC inputs. So far it has worked fine for me, even with a camera module plugged in, but I guess it depends on what you're doing. So beware. The fourth photo shows a USB Micro-B. Also, the Micro-B fits the Raspberry Pi 3 but the Micro-A will not. The feature line is probably incorrect or else there are a lot more problems with this listing. Yeah, typo. Just and FYI they have a typo on their box as well (just in case someone gets confused). Thanks! It would be nice if you could source a similar high quality power supply which has interchangeable power socket pins (like you see with some phone chargers) for us poor international folk.... Sure we can get them on ebay from China, but I would be more comfortable with a unit supplied and endorsed by SparkFun. The 5V/2A version with barrel plug (TOL-12889) says it only gives 4.5 @ 2A. Does this one compensates with the slight overvoltage (0.25) so it is 5V @ full 2.4A? Could you SF guys or commentators clarify this? Thanks in advance. Hi and thanks for asking! I just tested one of these and with a 2.4 amp load, the voltage comes out to 5.03 volts. The reason for the difference between this supply and the older one is this supply has thicker wires that have a lower resistance allowing you to use have a 5 volt output at full load. Since this is "unregulated", is it not appropriate to use these to power the pi through the GPIO pins? I know it sounds stupid to cut off the connector and connect to the pins, when there's a perfectly good micro USB on here, but in my application, the physical box is just wide enough for the pi, so I can't have anything sticking out the side, so I've used the 2A regulated wall wart and powered through GPIO in the past, but I've read that it's not a good idea with unregulated power... I guess it's time to build a small regulator/fuse board that I can put on top of the pi for this..
"and incorporates a highly regulated output" You should be fine. It is odd though that they included a link to their "Unregulated Power Supply Tutorial." Does send a mixed message there, doesn't it? It IS very silly. It has been removed. Sorry about that! Okay for RPI + Camera. Not Okay for Matrix Voice. I got a Matrix Voice board to go with my Raspberry Pi Zero. This adapter seemed not to provide enough current, because the Raspberry Pi kernel-segfaulted. That's a known failure mode if your adapter doesn't supply enough current. Other than that, it was fine running the Raspberry Pi Zero + camera + servo board + pan/tilt servos. Purchased two of them for the two RPi3s I ordered. No complaints here. They can both be plugged in side-by-side and they run cool. I have a project that uses pi's with a small screen, an lcd, and a 64G thumb drive. Being new to the pi world, I assumed that that usb micro-b power socket meant I could use a phone charger power supply. I had measured the project current to be .8 amps with a usb current meter and since the charger power supply said it was rated 2.4 amps I figured i was good to go. wrong. The lcd flickered and the pi would hang and then get stuck in an fsck loop. Bought this supply and all problems disappeared. It's been running for a few weeks now without a glitch. I wish it had a usb socket instead of a cord because I wanted to use cables with 90 degree plugs. I had to buy an adapter. But that's my problem. These power adapters are exactly as described. Very high quality. Both adapters are doing the job I expected -- they not only power the fan, they also power the usb ports -- from what I can gather since using them on my cooling assemblies. I see myself buying a couple more of these, to go with the couple more Raspberry Pi's in my future. I was needing a higher amp output power supply for a Raspberry Pie project. It was at a good price and is working well. The only thing I wish this power supply had was an On/Off switch. Besides that. Great! How about adding an on-off switch? Powers up the Raspberry Pi 3! I was using another manufacturer's power supply and was getting a constant low power warning from my Pi. I bought this guy and my Pi is chugging along perfectly, no matter what peripherals I'm using!